The Spirit of Zionism: Natan Hofshi’s way. 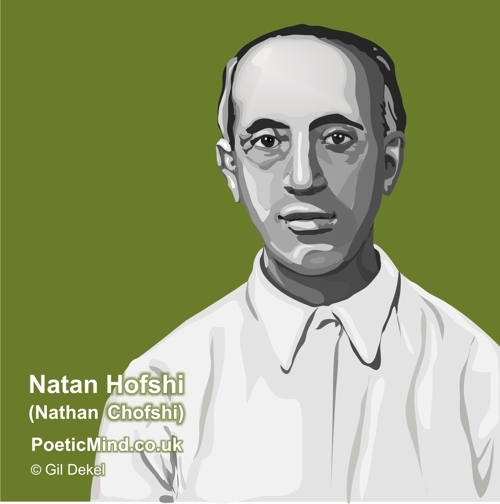 Natan Hofshi was a visionary man, a Zionist, a vegetarian, organic farmer, and amongst the first pacifists in Israel as far as the 1920’s. From reading his writings and talking to his children and people who knew him, an unusual case surfaces: Hofshi was a Zionist (i.e. believing that Israel is the homeland of the Jewish people), who lived in times of wars over Israel – and still preached for pacifism and anti-militarism. How can his anti-militarist views coexist with his Zionist belief, in times of wars between Jews and Arabs over the same land? Hofshi was heavily criticised for writing against the violence carried by some Jews against the Arabs, yet he was aware – and also wrote – against the violence carried by some Arabs against the Jewish people. A thorough study of his writings reveals that he had a humanistic-idea, an alternative solution to prevent the bloodsheds. For him, there was an opportunity to promote peace through educational process in schools, which will take a while to complete, but which will eventually produce the foundations for peace, prosperity, and security – without the need to harm or proclaim wars. Portrait of Natan Hofshi (artwork © Gil Dekel). Hofshi was born in 1889 in the city of Wolbrom (Poland, not far from the German Border) and was educated in a Jewish school (‘Heder’). His fascination with Zionism was negatively viewed by his peers in Wolbrom, and was considered forbidden (‘Mukze’) as most people believed they should not immigrate to Israel before the Messiah (Saviour) comes to lead them. Hofshi had to read Zionist newspapers and books of modern education in secrecy. Against all odds he held to his aspiration to learn and emigrate, even though his finances in Poland were good at that time  and Israel meant poverty. Hofshi did not just dream, but also act – he organized small groups and get-togethers in hides with a few friends who studied and planned their emigration. When he emigrated at the age of 20, in 1909, he was welcomed in the port of Yaffo by a representative who took him to Haym-Baruch hotel in Neve-shalom Street. There, a few doubtful people asked him if he has any money left in his pocket, and if so, he better catch the next ship sailing to Russia, and not stay in Israel where there was poverty, hard labour, and not enough jobs. At that same moment someone offered him a bunch of grapes. Hofshi recalls wondering how these people can talk about leaving a country, which produces such wonderful fruits. But how can this rule allow for Zionism alongside pacifism? According to Hofshi, pacifism and anti-militarism are not weakness or blind submission to violence carried by others. Pacifism which is based on ‘Never impose on others what you would not choose for yourself’ is a way of life that leads communities to success through relationships of respect, listening and understanding. Acceptance of the other, and rejections of the desire to control or occupy, will nullify fear among people, and as such, no person will be scared of the other and no nation will seek to harm another. Wars will be prevented. We need to stop scare our children about other nations, and instead develop a scare-free and fear-free pacifist system. This pacifist process will not occur over night; rather it is a slow laborious course that requires a respect-admiring education system. All people are born in the image of God and life, and so war is a horrible butchery which never leads to victory. Glorification of a ‘military victory’ is blindness caused by the thick pillars of smoke of wars which darken man’s sight. Such blindness nullified man’s vision to see the place of fellow-men in the global human-family, and so, conditions for the next war are created. But what if at this moment, in reality, a nation faces enemies that come to harm it, in a world where the ‘fittest survives’? Indeed, young people came to Hofshi during the Second World War, to ask his advice on whether or not to join the fighting forces. Hofshi writes that he never advised against it, rather said that if they ask, it means they have doubts about being pacifists and so they should join the army. “There was not even one person that I advised against it; I only said: since you ask – you should recruit.”  It seems that Hofshi himself was spared the hard challenge of being a pacifist and a Zionist who is also called to serve and protect his country in times of war. During the 1940’s Hofshi was advanced in age, and was not asked to join. Then he realised that violence leads only to one thing – further violence, and cannot guide the two nations to a mutual rise that respects the 2000-year old right of the Jewish people on Israel, as well as the 1300-year old right of the Arabs who live on that same land. Hofshi explained that there is enough place and resources to support all people, and he suggested to transform the military industry into agricultural industry. Similar ideas were later proposed by Barbara Marx Hubbard and Neale Donald Walsch. While Hofshi quoted Gandhi who said that violence is the weapon of the weak people  – still he never ignored existing situations of conflict. Hofshi explained that if a man is forced to hold arms he should do so with grave sorrow, and not with joy or glorification of violence and war. There is a fundamental difference between the incitement of war, and the sorrow of inevitability. © Gil Dekel (great-grandson of Natan).